Explore the beautiful park of the most famous sculpturer in Norway and the Holmenkollen view. 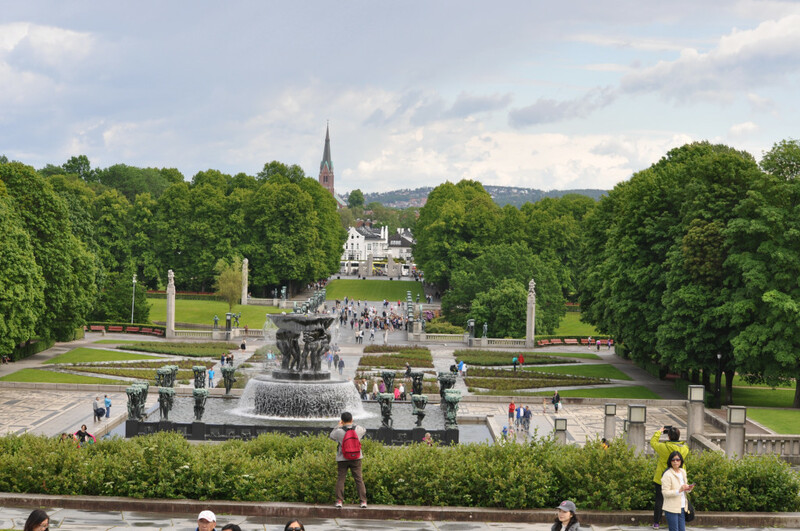 We first explore the beautiful park of the most famous sculpturer in Norway, Gustaf Vigeland, with its 196 sculpturs, performed in bronze and granit. We pass through the brigde and the lovely rosegarden to admire the Monolith, a masterpiece of a granit column with its 121 intertwined figures. Then we use the subway up to the Holmenkollen ski jump, the famous arena for wintersports more than 100 years old, to explore the site and enjoy the wonderful view over the capital and its surroundings. The jump was last renovated in 2011 in connection with the arrangements of the world championship in skiing. It is one the few ski jumps which are provided with windshields and illumination, which makes it very visible from all parts of Oslo at night. Subway tickets, admission to the ski museum, lift to the viewing platform on the top of the tower and other facilities in the area are not included, except for holders of the Oslo card. This walk can be separated into 2 single excursions.